Cardiac implanted devices provide not only therapy but also information on the clinical status of a patient. While beneficial, this increasing complexity also means that all clinicians must be knowledgeable about device function, indications for device use, and device follow-up. 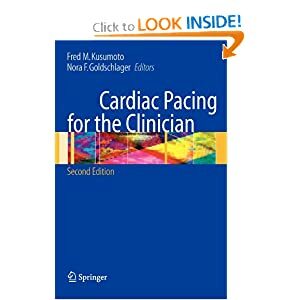 The second edition of Cardiac Pacing for the Clinician will provide a succinct, yet comprehensive reference for the implantation and follow-up of implantable cardiac rhythm devices. It is intended to be a practical guide for the day-to-day management of these increasingly complex devices, and is intended for all physicians caring for patients with cardiac implanted devices. Fred M. Kusumoto, M.D., is Associate Professor of Medicine, Director Electrophysiology and Pacing Service, Division of Cardiovascular Diseases, Department of Medicine, Mayo Clinic, Jacksonville, Florida.